Jonathan and Corinne Long were both raised in strong Christian families and knew from an early age that God had a special plan for their lives. Part of that plan has led them to missionary service with One Mission Society and a call to ministry in Eastern Europe. 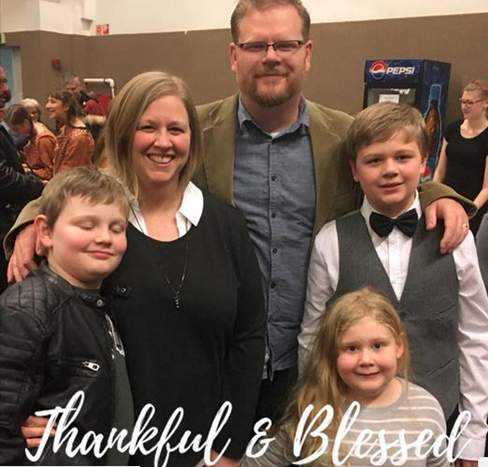 While growing up as the son of OMS missionaries, Jonathan experienced firsthand the impact on the lives of others while serving God and living in a foreign country. Through those experiences, he developed a strong desire to return to the mission field, especially to Hungary. Jonathan and Corinne currently serve in Budapest, Hungary, where Jonathan serves as the field leader for OMS Hungary. They have a passion to share the transforming power of a relationship with Jesus Christ. Corinne serves as field hostess and treasurer, and she assists Every Community for Christ (ECC). The Longs have three children: Carter (2005), Grant (2008), and Noémi (2012). By God’s grace, One Mission Society unites, inspires and equips Christians to make disciples of Jesus Christ, multiplying dynamic communities of believers around the world. First Presbyterian Church Noblesville has supported the Long Family since 2015. Read periodic updates from the FPC Mission team. We regularly send packages to the Long family to support the families they work with.